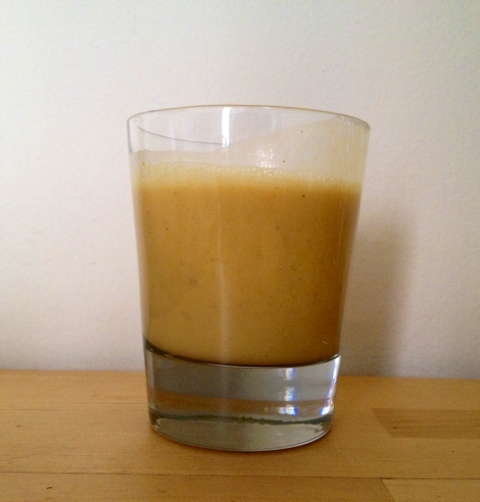 I’ve been wanting to try Brett Bara’s pumpkin smoothie recipe since I first saw it. I finally got all of the ingredients this week and can report that it’s delicious, creamy and sweet and the tiniest bit tart from the cider. Measuring all of the ingredients was a little fiddly, but I have a good enough sense of the proportions now to wing it going forward.